As a veterinarian, I’ve noticed that some clients intuitively handle their visits with a little more strategy and finesse. Here are 6 tips, which I’ve gleaned over the years to help you be proactive in creating more enjoyable and successful vet visits for the dog you love. 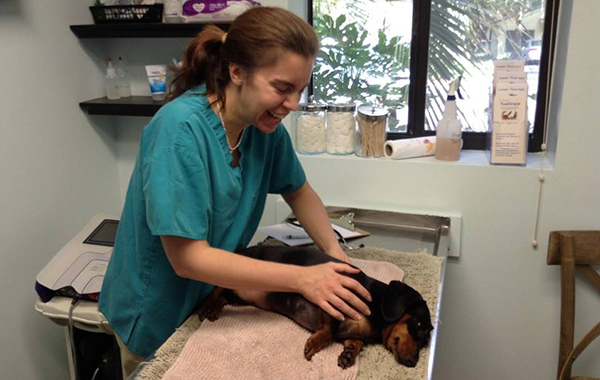 A typical veterinary appointment will include a consultation and physical exam. This is the foundation of every veterinary visit—you are paying for your vet’s time, experience, and expertise. Remember this on the front end! Whether you are taking your dog in for a routine wellness visit or for a problem visit, take some time to gather your thoughts and write down (or record on your phone) your observations, concerns, and questions. Have it handy when you are discussing your dog’s health with the veterinary staff and your dog’s doctor. I promise your veterinarian will appreciate your organization and preparedness! This used to drive me crazy when I would take my kids to the pediatrician—I’d think of a handful of questions to ask while loading the dishwasher or walking the dog, but after driving to the appointment, keeping the kids happy while we waited, filling out paperwork, and answering the nurse’s twenty questions, I would be lucky to remember one thing I wanted to discuss with the doctor. After the fact, I couldn’t just call up my pediatrician and chat on the phone about my issues. I’d missed a valuable opportunity. No matter how accessible your veterinarian is, your window of time in the exam room is the golden opportunity for you to present your concerns and questions. Remember, you are your dog’s voice! 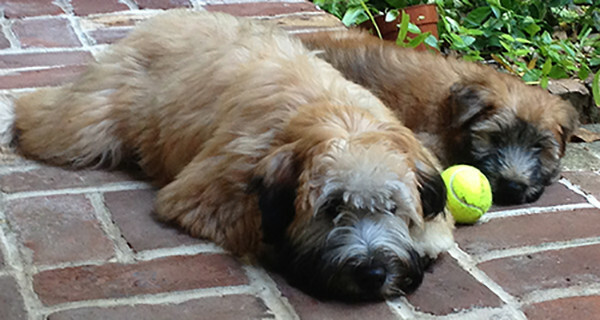 The questions and concerns you express are a key component in shaping your dog’s health care. It’s important to be intentional about formulating and recording them and then going through the list again at the end of your appointment to make sure you didn’t miss anything. The flip side to this point is equally important: listening. Listen closely when your vet gives you home care instructions and explains your dog’s medications. This is your homework. You need to understand the assignment to achieve success. When your veterinarian shares information that is obviously important, repeat it back to him/her in your own words to make sure you understood the message. Though veterinarians try hard to explain things in plain English, sometimes we get caught up in the many 5-syllable words that end in “itis” and speak a cheap knock-off of Latin. Should this happen, I assure you that we want you to tell us you don’t understand and ask for clarification. Ideally, you should drive away from each vet appointment with a clear picture of your dog’s health and an appreciation of your role in maintaining it. Here’s what breaks my heart: when I look out the exam room window and see a dog hop out of the car in the parking lot, rush to have a bowel movement, and ramp up to Mach 10 before ever entering the building. Yes, I understand the concept of transitional/stress diarrhea. Yes, I understand that dogs come in all different energy levels. Yes, I understand that the very car ride and location can be anxiety-inducing. But when I see that scene unfold, which I have hundreds of times, I’m not thinking about any of those contingencies. I’m thinking that poor dog went from lounging on the couch to leashed and loaded in the car in 30 seconds flat. I’ve surveyed my clients and I know this is often true. They rush home from work, grab the dog, rush to the vet. Rush, rush, rush. Is it any wonder the dog is keyed up? Here’s how I’d script it for my patients if I could: there would be a full 30 minutes of “pre-game show” planned into the schedule before the appointment. Your dog would be walked (and given time to relieve himself), played with (a little cardio) and then loaded in the car for the appointment. Your dog then arrives with “the edge off”. An old adage says, “A tired dog is a good dog.” A dog who has worked his body and mind before arrival makes a better patient. This, in turn, makes the experience better for everyone involved, especially the star of the show—your dog. One of the best things about dogs is their sixth sense. They can get a full read on a situation without any of the clues we need as humans. If you get stressed going to see your veterinarian, I guarantee your dog will read your tension and behave accordingly. Imagine how your dog feels in this scenario. You’ve got the leash in a death grip. 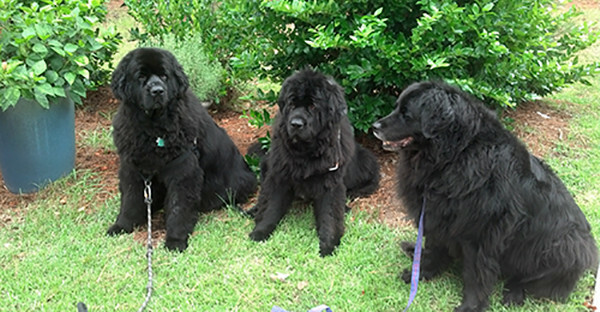 You’re nervous about how your dog is going to interact with the other dogs in the waiting room. You’re waiting in the exam room and your dog is whining and you feel like whining, too! You hold your breath when the technician approaches with the rectal thermometer. Blood work?! Did someone mention blood? Guess what?! Your dog feels all that! Relax, and I dare say, try to have fun! Trust that your veterinarian and his/her staff will take care of your dog and work hard to ensure a smooth experience for you both. Of course, there will be unavoidable, stressful times at the vet’s office, but, in general, you should be able to trust the people, trust their process, trust your dog, and BREATHE. Your dog will thank you for it! To take it a step further, I urge you to provide your dog moral support. The single most important technique I advocate for improving a pet’s experience at the vet is low-tech and free: distraction! You’ll have to play this one by ear because sometimes veterinarians prefer that you not be physically involved with your dog during the exam. Certain situations call for vets and techs only. But if you are in physical contact with your dog, don’t turn into a statue while the temperature is taken, blood is drawn, or other intimidating medical procedures take place. When you do that, your dog is able to give his full attention to the unpleasantry, and object accordingly. There’s even science behind this idea! When you accidentally smash your thumb with a hammer, what do you instinctively do? You rub it! This is because pain is multi synaptic. Translation: Pain takes many pathways to reach the brain. If you distract the body by sending information to the central nervous system on other roads during the discomfort, it creates more “traffic” which the pain sensations have to overcome to get to the brain. Vigorous (with gusto) head rubbing, belly scratching, rump patting, etc. creates helpful “traffic”. Veterinary hospitals tend to be feast or famine. The appointment schedule is either dull and slow or triple booked with 3 emergencies on the way. If you happen to arrive during a “feast”, here’s a tip: use the parking lot, even your car, as an extension of the waiting room. Simply ask the receptionist if it’s okay for you to wait outside. No doubt, they will be grateful and respect your wisdom. Enjoy some bonding with your dog outside, or, if the weather is bad or your dog has had enough of the parking lot, you can sit in your car and listen to classical music to pass the time, happily oblivious to the chaos inside. If you choose to do the latter, let the receptionist know where you can be found and/or provide your cell number so the staff can deliver the veterinary version of curb-side service and usher you into an exam room when one becomes available. Don’t be afraid to bring your dog’s bed or blanket to the appointment. After I insert acupuncture needles, I generally need a dog to be still for 10-40 minutes. I always have a cushy blanket on the floor for the dog to curl up on, but I get better results—faster relaxation—when clients bring their dog’s bed from home. Recently, a client told me that he’d taken it one step further. He’s been bringing his senior dog’s bed to his regular vet appointments, too. Now, while waiting in the exam room, his dog doesn’t have to stand, sit, or lie on the hard floor—Leroy rests on his bed, patiently awaiting his exam or procedures. What a great example of proactive pet parenting! 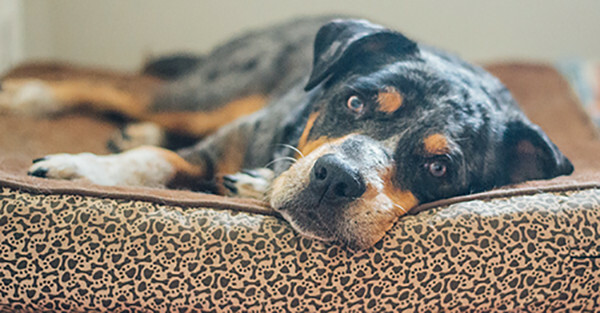 Your dog is already conditioned to a specific state of mind associated with the bed—restfulness—and we get the benefit of instantly creating that before and during the visit using a prop. However, since it is by very definition a hospital, treating both well and sick dogs, I would recommend washing your dog’s bed, or at least the cover, immediately upon returning home, as a precaution. Being thoughtful and proactive in the care you provide your dog directly impacts his or her quality of life, and by association, also your own! Through these six simple tips, I think you can land the triple win at your next vet visit! • A win for you, experiencing no rise in blood pressure during your visit. • And most importantly, a win for your dog, who had a happy, productive visit with members of his extended family!